Here’s something else you’ll see about once every hundreds years: The Wall Street Journal taking out a full-page ad in the Sunday New York Times. 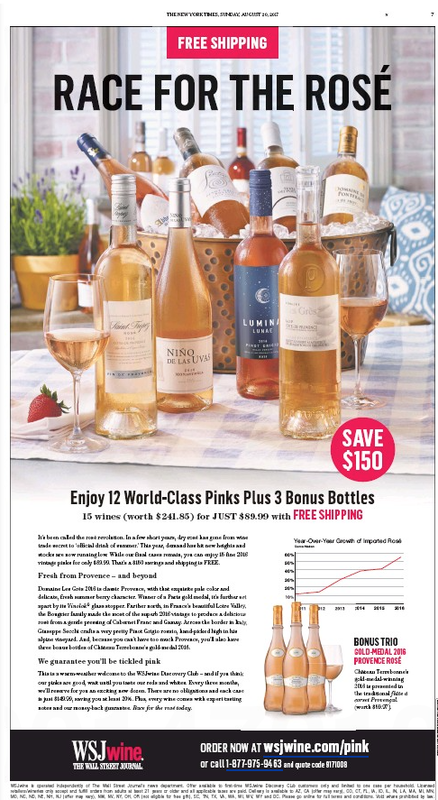 The hardsipping staff has no idea how many Times readers will discover the WSJwine Discovery Club, but here’s hoping the Grey Lady runs one of her around-the-world-for-$135,000 ads in the Journal soon. 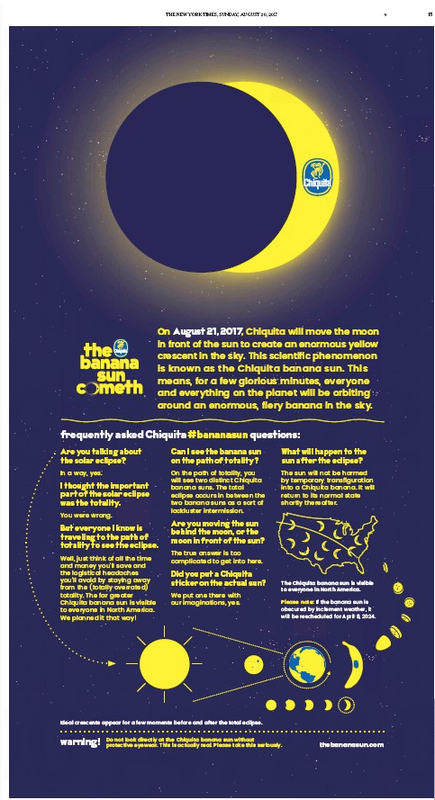 And while we’re waiting for the actual eclipse, here’s another full-page ad that ran in yesterday’s Times. 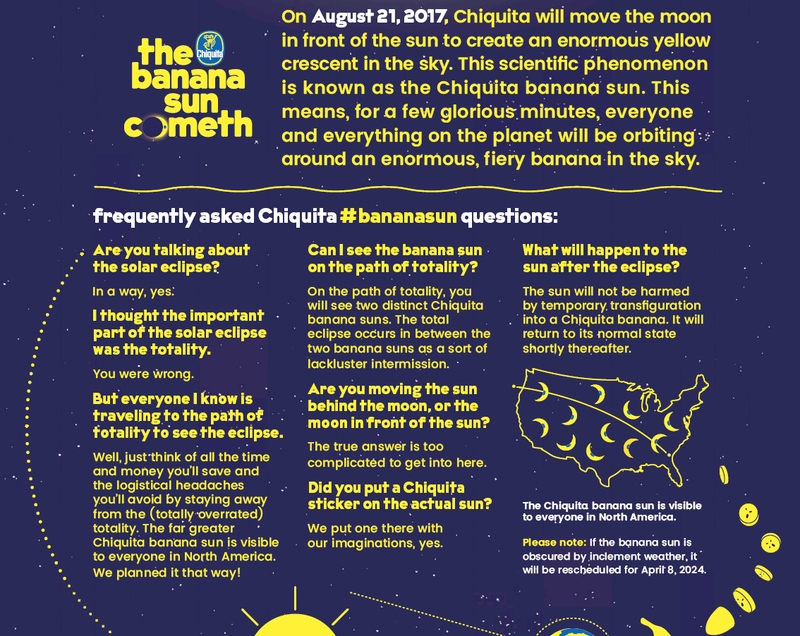 This entry was posted in Uncategorized and tagged Around the World by Private Jet: Cultures in Transformation, Chiquita Banana Sun, Grey Lady, Journeys, New York Times, Wall Street Journal, WSJwine Discovery Club. Bookmark the permalink.